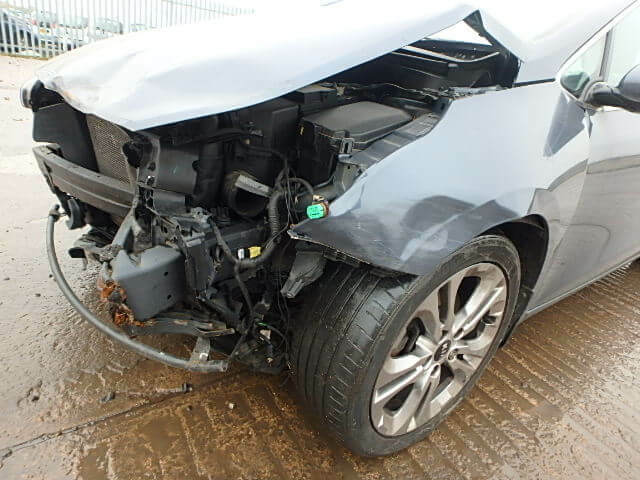 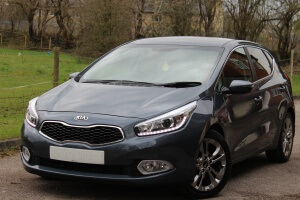 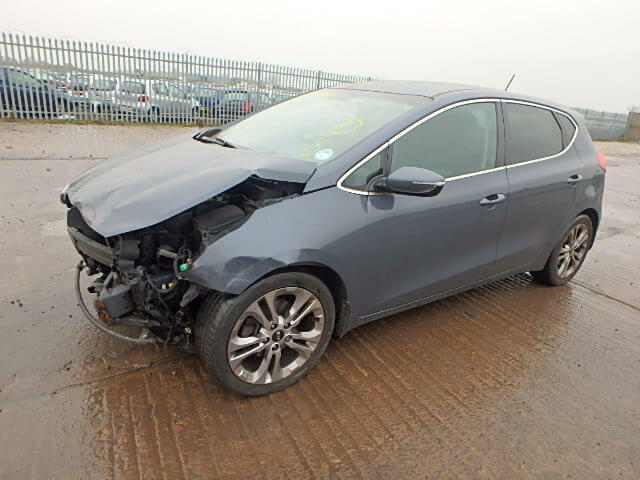 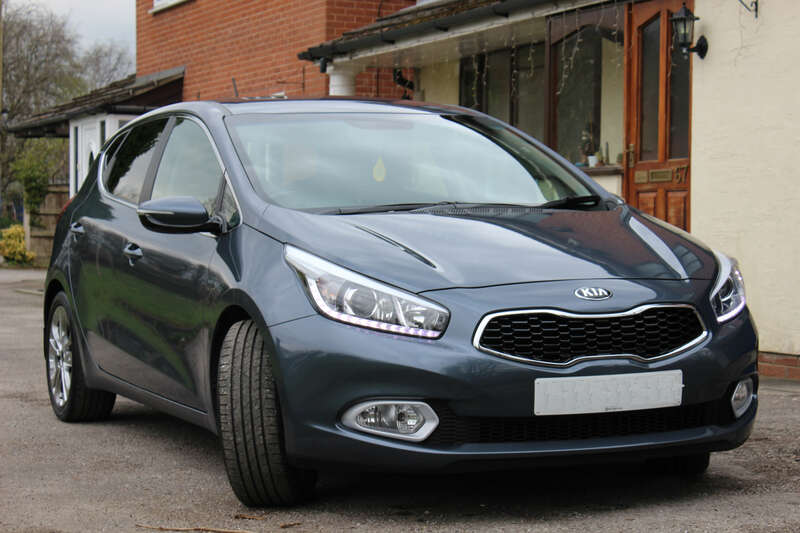 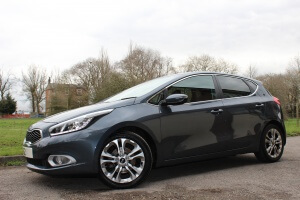 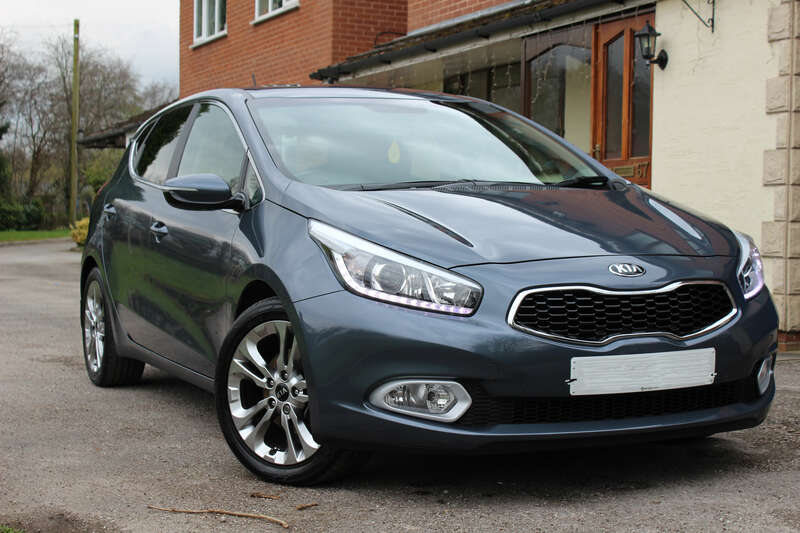 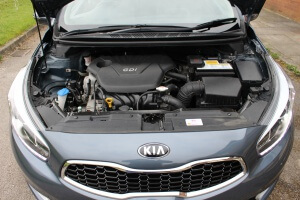 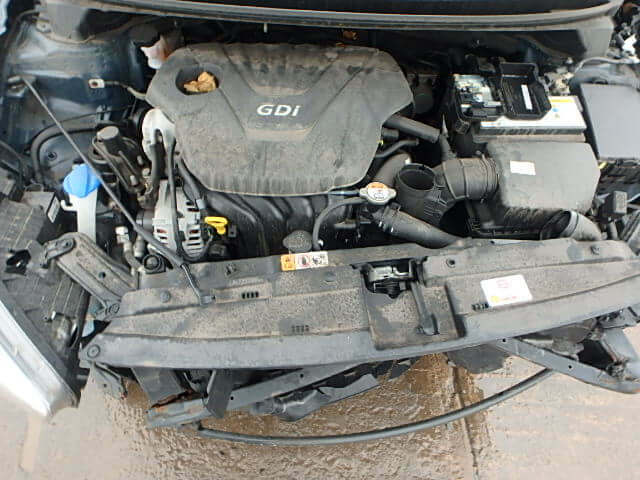 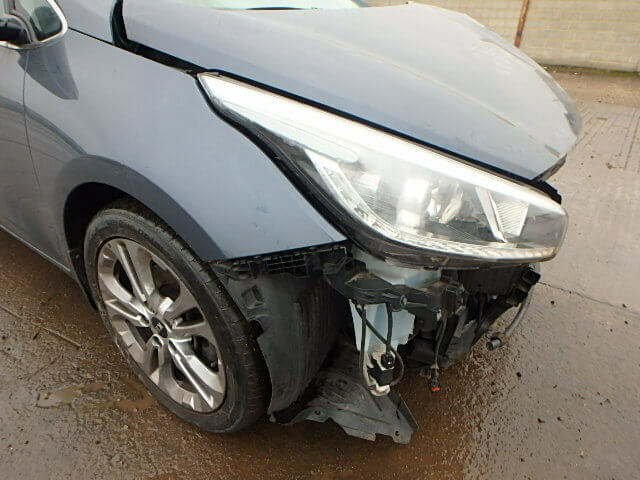 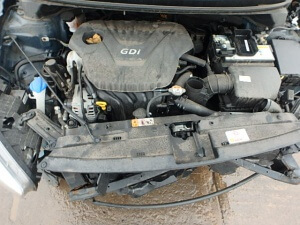 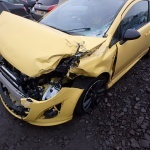 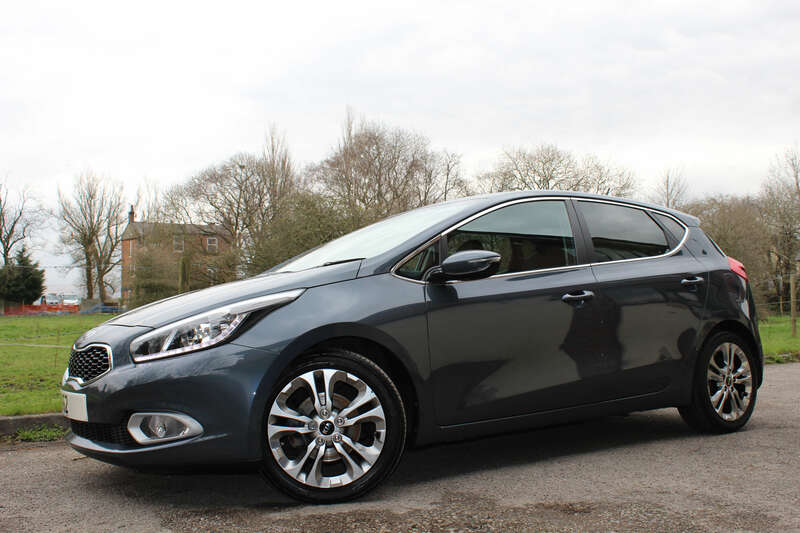 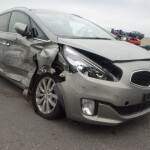 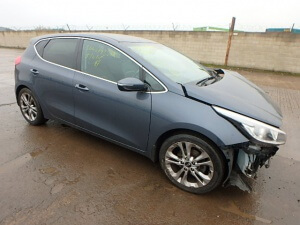 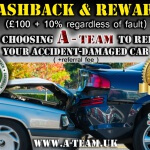 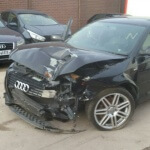 Front collision repair of this Kia Cee’d included jigging of chassis (required windscreen refitment), bonnet, wing and front bumper replacement, headlight repair that saved owner over £400 (welding and clean inside as rain water got in). Also car needed air bag, dashboard and seat belt mechanism restoration after air bag deployment. 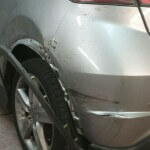 Took us less than 1 week to finish this job, that is with parts sourcing and all repairs.